With the fresh updates to iMessage, many iPhone and other iDevice users want access to iMessage on their personal or workplace computers, so chatting with friends and family continues on all types of devices–at home and work. Many of us iFolks have Apple computers so keeping up with iMessage is really easy. But there are also quite a few of us who have Windows PCs, at home and especially at work. So how do we get iMessage talking on ALL our machines? What About a Browser Based iMessage? You’d think Apple would have an online browser-based service for iMessage, so checking in no matter where we are is easy. But alas, there currently is no service for getting iMessages online! The standard thought is that Apple wants to keep its services limited to its own iDevices and Mac computers. That leaves millions of us, maybe even billions of us in the dark, unable to access iMessage when we are at work or using our home Windows PC. But today, I have good news. 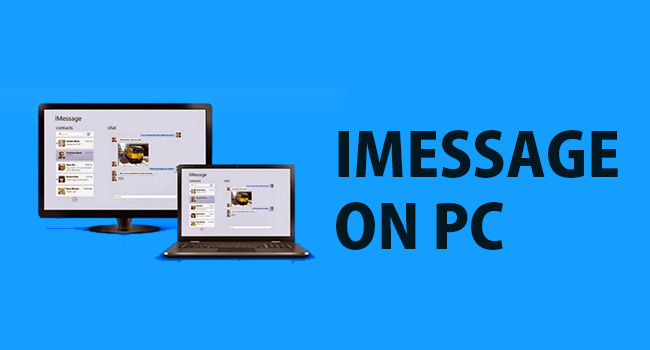 There are some options available for all of us Windows users (and Linux/UNIX too), so we also send and receive iMessages, no matter where we are. Following these relatively straightforward steps makes it easier than ever to stay in contact with the people that matter most across your iPhone, iPad, iPod touch, Mac, and even your own Windows PC. So without further ado, here’s how we do it. Back in 2012, Apple released iMessage as a stock application in Mountain Lion (10.8.) From that OS onwards, your Mac’s Messages app lets you pick up conversations on your computer right where you left off on your iPhone, iPad, and iPod touch. Messages for Mac is completely free and works with anyone who has iMessage activated on their iOS, OS X, and macOS devices. First, verify that the application is on your machine. Look for “Messages” in Spotlight Search or via your Applications folder. In case you do not have Messages installed, verify that you are running OS Mountain Lion (10.8) or higher. If not, download the latest OS that your Mac computer allows. Supposing your OS is up-to-date and you still do not have Messages, visit the Mac App Store and download the Messages application from there. Once Messages is on your computer, open the application and sign in with your Apple ID and password. Messages only work with your Apple ID and password, so you must have an account to use iMessage on any device, including iPhones, iDevices, and computers. If you do not have an Apple ID, check out this link to create yours. Remember that every Apple ID comes with 5 GB of iCloud storage at no charge. After signing in with your Apple ID and password, Messages automatically downloads and syncs any previous conversations used with that Apple ID. So you pick up right where you left off and that new conversation syncs with all your iDevices and computers associated with that same Apple ID. Once Messages is set-up, you’re free to send text messages, voice messages, pictures and videos all through the internet. You cannot log into multiple accounts at once. You can use more than one Apple ID with Messages and iMessage. But you must switch between those Apple IDs and passwords manually each and every time you want to use a different Apple ID. One workaround for getting iMessage on your PC is to utilize Chrome’s great Remote Desktop feature. To get this going, you do need a Mac computer to set things up. What Chrome Remote Desktop provides is access to iMessages by connecting your Windows PC to your Mac computer remotely. The major downside is that you are only able to access iMessages when the Mac computer is turned on (not asleep) and connected to the internet. And you need your Apple ID. With Chrome Remote Desktop, all connections are fully secure. Access other computers or even allow another user to access your computer securely over the Internet. Everything is done via Chrome browser. As a reminder, you need access to a Mac computer when implementing this method. And that Mac must be turned ON and connected to the internet Otherwise, this tip won’t work. Chrome Remote Desktop is also fully cross-platform, providing remote assistance to Windows, Mac, and Linux users and access to your Windows (XP+) and Mac (OS X 10.6+) desktops at any time, all from the Chrome browser. Currently, the only other way to access iMessage on a browser is to jailbreak your iPhone. Jailbreaking is basically replacing the actual iOS with a new operating system that provides more flexibility. You change the way your iDevice looks and feels and get to choose a ton of custom apps, tweaks, and add-ons that aren’t available in Apple’s official App Store. Jailbreaking gives you the type of customization Android users are accustomed to. And among these many tweaks is the ability to use iMessages from anywhere on the internet. You even get your iPhone restored to factory settings afterward. We do NOT recommend most users jailbreak their iPhones or other iDevices. Jailbreaking automatically voids your warranty and any additionally purchased AppleCare+. You also run the risk of “bricking” your iDevice, encountering a lot of bugs, and a higher risk of security breaches and planted malware. So jailbreaking your iPhone is really for iFolks who feel very comfortable working and troubleshooting their iPhones and other iDevices. For the brave of heart, ready to make the jailbreaking leap there are also a lot of pluses. Jailbroken iPhones have access to Cydia, an alternative to Apple’s App Store for “jailbroken” iDevices. Cydia is not available in the app store. Rather, it’s installed on your iPhone using a “jailbreaking” tool, such as Pangu, TaiG, and others. Jailbreaking allows you to customize your iPhone to your liking fully and even download apps that Apple currently prohibits. This jailbreaking includes things like customizing your lock screen, setting your own default apps, customizing control center, adding Touch ID or 3D Touch even for older devices, and creating shortcuts and other adjustments to the User Interface. And of course, jailbreaking your iPhone or other iDevice gives you access to iMessage across all types of devices. Before you even consider jailbreaking your iPhone, make sure you perform backups of your current iDevice preferably in at least 2 locations (cloud-based and local). Check out our article on backing up following our 2X2 rule. Once you have your backups, the best practice is to restore your iDevice using iTunes. Having your iDevice clean yields to better results with the jailbreak. The next step is downloading the jailbreak software onto your computer, Windows or Mac. Run the software and follow the steps to move through the jailbreak process. Once the jailbreak OS is installed, look for an icon called Cydia. If it’s not there, download it. Cydia is basically your jailbroken app store. Next, you need to purchase an App called Remote Messages. With this app, iMessages is available to you online for all types of devices and computers, including Windows. All you need to do is provide authentication credentials and then use your iPhone’s IP address on the browser followed by 333. You are required to log in to have full access to iMessages. We were hoping that iOS 11 included a release of iMessage for Android users. But alas, no! So for those folks using Android phones, there are some options for you, including apps like iMessage Android and others available from the Google Play Store Using these apps allows you to iMessage between iPhones, other iDevices, Mac computers, and your Android phones. This means you send texts to iDevice users all from your Android phone–a truly cross-device chat experience. How To Use Team Viewer – Step By Step This article teach you how to use team viewer,TeamViewer is an intelligent and highly efficient program that allows you to control a PC remotely over the Internet. This makes it great to get forgotten files and it is also an effective way to help friends and family with computer problems without leaving your desk comfort. The TeamViewer is a freeware allows you to control and maintain another computer via the Internet remotely. It only takes a few clicks to connect and problem solving becomes a child’s play thanks to the easy operation of the program. With the 100% free TeamViewer, you can connect and maintain another PC instantly via the internet and remotely. If you have problems, you can be helped quickly and easily, even if you are not on site. You can chat with the partner throughout the connection. Although mobile devices quickly outsell traditional computers, many of our most important information has always been stored on stationary home desktops or laptops that never provide convenient access from home firewalls anywhere. Even if you are in a home network, you can be frustrating to move to a particular device on the other side of the house. Software engineers have managed to obtain better access from a great distance. You can see and control a remote computer on another device using a simple software program, even from a different computer network. All you need is a working internet connection for both devices. Best Voip for gaming Animecrazy Watch Anime Online There are several methods and applications that can provide this functionality for your devices. In this guide we will focus on TeamViewer, a well-known program that supports Windows, Mac and many smartphone operating systems. This is how to use it. How To Use Team Viewer - Step By Step Always have access to your home PC with the help of TeamViewer This is a familiar yet nightmare scenario: you burned the midnight oil to write the report that your boss asked for in the morning, but when you get to work you discover that you left the file on the desktop of your PC. What are you supposed to do? Resign, plead mercy or simply run? Well the answer – if you’ve got a piece of software called TeamViewer installed on your PC then just relax and copy your files remotely. READ LG Signature OLED TV TeamViewer is a smart and powerful program that allows you to control a PC remotely over the Internet. It is also an excellent way to help friends and family with their computer problems without leaving the comfort of your desk. You can download and install the software free of charge when you are a home user.For business use, see the licensing options How To Use Team Viewer to Remotely Control Your Friends Computer When you read on, we will find out how to rescue the forgotten file and also how to remotely control your desktop computer. This is how to do it. Step-by-step: Get files from your PC remotely 1. Download the software TeamViewer is like a telephone conversation between two computers, so that both machines need the software installed. We will assume that you have a main desktop computer and a laptop that you take with you. To get started, download TeamViewer on your desktop PC from www.teamviewer.com. 2. Get configured Now click ‘ Run ‘ at the bottom of the screen and accept the license agreement if requested. You ‘ll also need to check the two tick boxes. Finally, select ‘ Personal / Non – commercial Use ‘ when prompted and then click ‘ Next. ‘ The following screen is called ‘ Unattended Access Setup.’ All you have to do is click’ Next ‘ to continue. 3. Make an account You have to give a password to your computer on the next screen. Click ‘ Next’ once you’ve chosen one. You will be asked to provide your email address and a TeamViewer password on the following screen; please note this password as you will need it later. When you’re done, click ‘ Next.’ 4. Activate your team Now you’ll see a screen like the one above. 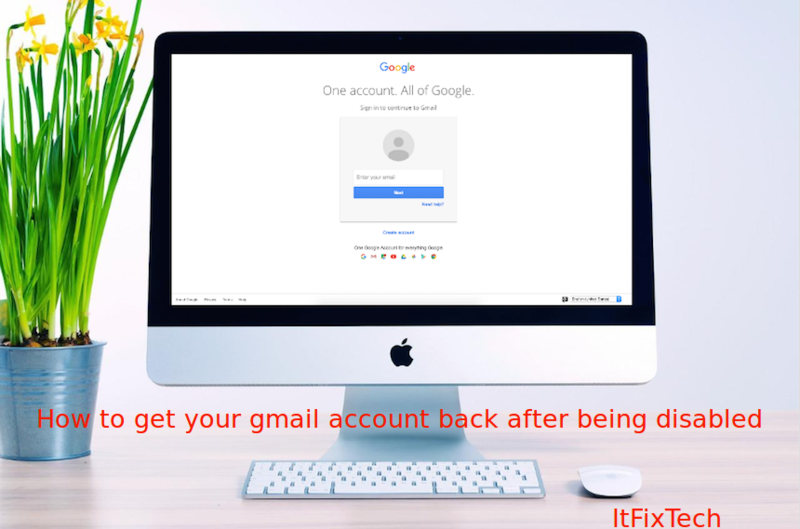 At this point do not worry about the passwords–we will use them later.Your last task is to access your e – mail address and find a TeamViewer message. You must open it and click on the long link that activates the registration of your TeamViewer. 5. Set up your laptop Now is the time to fire your laptop and also install TeamViewer. When you have finished, you will have to follow the same steps as before until you reach the above screen. 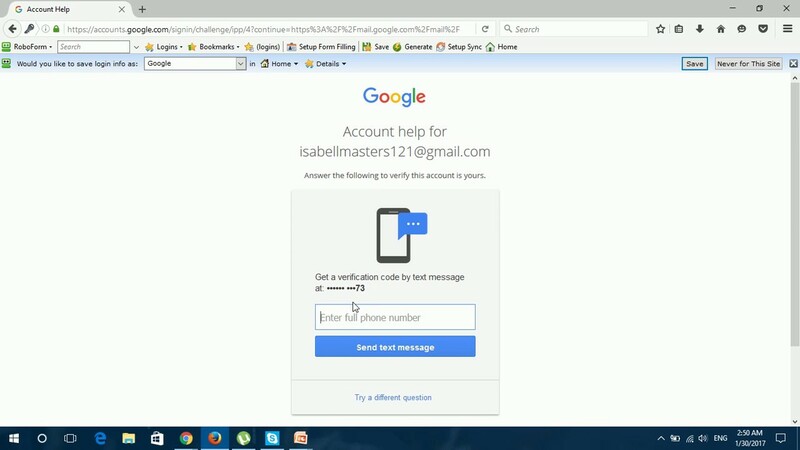 This time, select ” I already have a TeamViewer account ” and enter your TeamViewer password at the email address you have registered with. Icloud Bypass Tools Best Flv Player Download 6. Take control Let’s be adventurous and give your laptop full control of your desktop. Note the number next to ‘ Your ID ‘ in your main PC. Now enter this number in the partner ID box on your laptop. Click on ‘ Partner Connection ‘ and enter your password for TeamViewer. You ‘ll see the Windows desktop of your desktop PC appear. 7. Access your PC remotely You should be able to move icons to your other PC if you work on your laptop. You can open programs, close programs and also make changes to system configuration. In this mode, TeamViewer is also ideal for remotely fixing PCs. Set it up like before, so that you can help your friends without leaving home. gta vice city ppsspp iso Shadow fight 3 unlimited money Showbox Apk Download Showbox For PC Download Clash Of clans mod apk download fts 18 Fts 17 Dream League soccer 2018 unlimited money Injustice 2 Mod Apk Download Psiphon Handler APk Snapseed For PC Download Hotstar For PC Download Tubmate for pc PicsArt Download For PC Vidmate FOr PC How to root bluestacks Free Premium Hulu how to get free robux Free us number for whatsapp Netflix account generator Bs tweaker 8. Retrieve that file If you forgot to transfer a file from your desktop, close the windows that control your other PC and look in the TeamViewer display under ‘ Control remote computer.’ Choose ‘ transfer file > Connect > Log on. ‘ Navigate to and select your file. Click ‘ Retrieve’ and it will be transferred to the My Documents folder of your laptop. That’s it, thank you for reading my article on how to use Team Viewer.